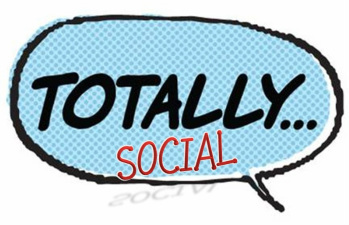 Totally Social is a website that was founded to be a resource that shares a multitude of supports and services in the community of western Oakland, Livingston and northern Washtenaw Counties. 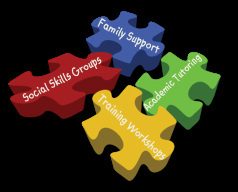 These supports and services are offered by certified professionals/Social Coaches for individuals on the autism spectrum, their families and their community. Supports to include seminars, education and training. Specifically designed family support groups will focus on recognizing how persons on the spectrum “see and interpret” the world around them and strategies that have proven to be successful in many settings. Services are provided by Social Coaches. They facilitate age appropriate social skills groups, recreational social opportunities, individual social tutoring and educational tutoring with a focus on reading comprehension and written expression. These services will be offered at various locations within the community i.e. libraries, bowling allies, restaurants and coffee houses. The various services are specifically designed for persons with higher functioning autism and Asperger Syndrome and other social cognitive challenges, ages 5 yrs.- adult. Individual family training and programming in the home and community is also available. Note: The supports and services for the 18+ adult w/ HFA/AS and those with similar social cognitive challenges and their family include intervention and strategies with a focus on the legal system, specific laws and social rules i.e. Facebook, recognizing the age of a female, what words and actions should be said and used in the community, how long to stare at another person or NOT, etc. The Hidden Curriculum and "Homework"